For over sixty-five years, OW Lee has been dedicated to the design and production of fine, handcrafted outdoor furniture. 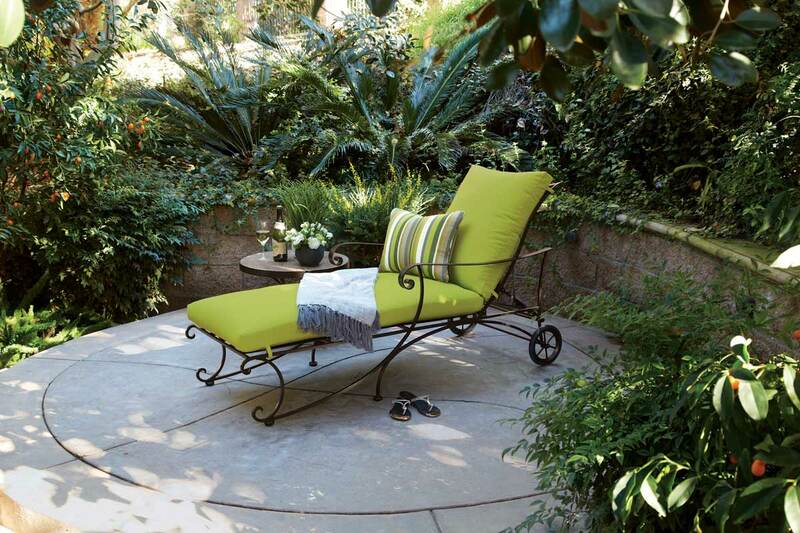 From our manufacturing facility in Ontario, California, artisans combine centuries-old techniques with state-of-the-art equipment to produce beautiful outdoor furniture. Through four generations, OW Lee has maintained its commitment to quality, and we will continue to produce the finest handcrafted outdoor furniture available. OW Lee uses only the highest quality materials in the production of their furniture. Carbon steel, galvanized steel, and 6061 alloy aluminum are meticulously chosen for superior strength. Materials are individually measured and precision cut to ensure a smooth and accurate fit. Steel and aluminum pieces are bent into exact shapes and then hand forged with a hammer and anvil, a process unchanged since blacksmiths in the middle ages. A full circumference weld is applied wherever metal components intersect. This eliminates the possibility of moisture entering the interior of tubing or in a crevasse, a process that guards against rust and corrosion. All welds are then ground and sanded to create a seamless transition from one component to another. Frames are blasted with tiny steel particles to remove dirt and oil from the manufacturing process, which is then followed by a five-step wash and chemical treatment to create the optimum surface for the final finish. A hand-applied zinc rich epoxy primer is used to create a protective undercoat against oxidation. This prohibits oxidation or rust from spreading and helps protect the final finish. The top coating of durable super-polyester powder is also hand applied and then oven-cured to ensure a fade resistant finish. Along with the handcrafted frames, the highest quality outdoor fabrics are used in creating custom tailored cushions that follow the lines of the collection and fit each piece of furniture perfectly. To prevent mildew and water retention outdoor quality PlushComfort® and open-celled foam is used in the cushions with high quality GORE® Tenara® thread for longevity. Porcelain Tiles are fired in a kiln at an extremely high temperature making them moisture resistant and then applied to a lightweight aluminum honeycomb substructure for added strength. The top is then perfectly fitted in the rim by hand.